There are many ways you can enhance your SPRUKE Festival experience, one of them is to participate! 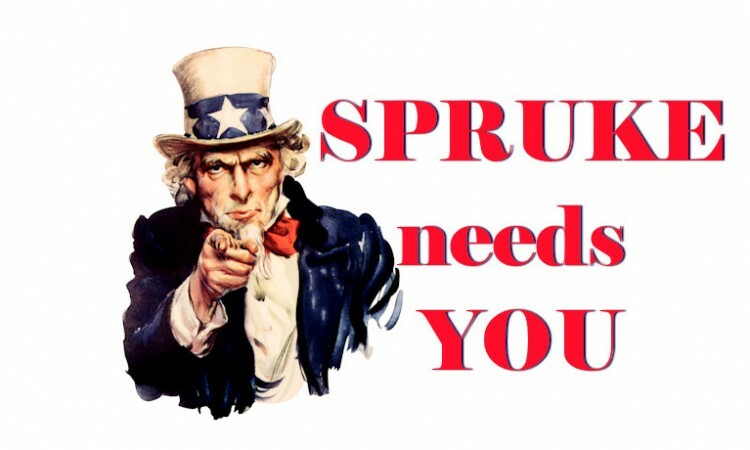 We invite all Sprukesters to become involved and consider volunteering in some way during the festival. Our SPRUKE crew with their energy and enthusiasm are the most valuable asset that we have—we couldn’t do it without them! Volunteering is a sure way to make friends and experience parts of SPRUKE the rest of other festival goers miss out on. We want to deliver a first class experience to all our festival goers and many people are needed to make that happen! Click on the links above for more info and to register your interest. Applications to perform and present at SPRUKE 2019 are now open! Applications close midnight Sunday 26 May 2019.